It is meant for transportation and maintenance of Drill-Stem formation tester ( DFT). 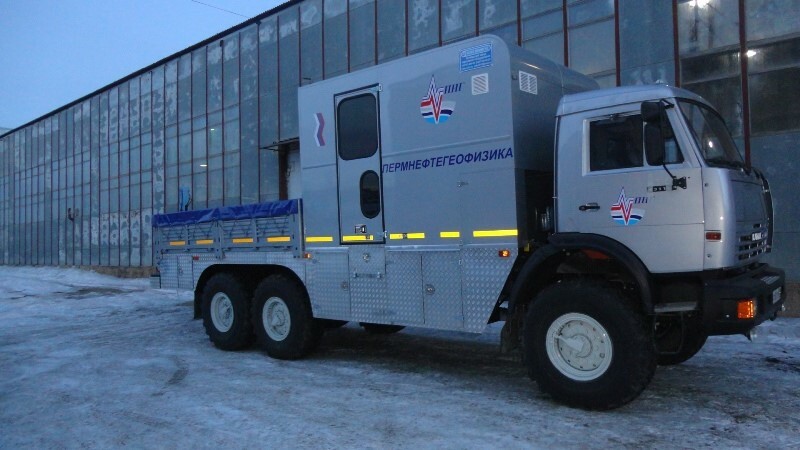 Product description: a special truck for drill-stem formation tester with a diesel internal combustion engine (ICE). 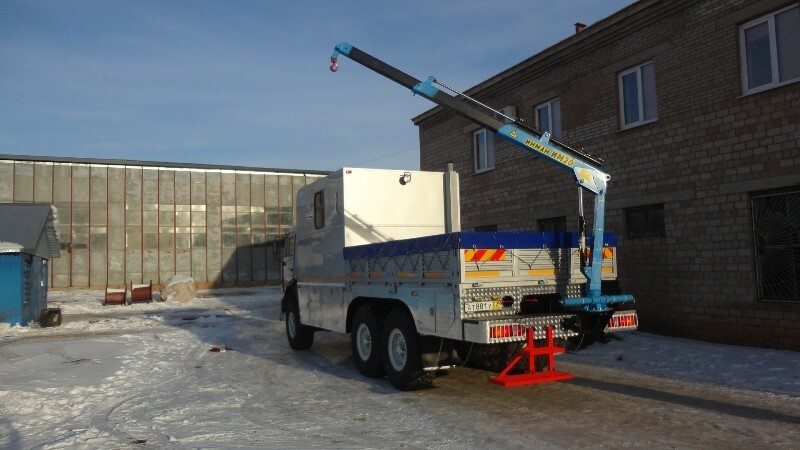 Application field: enterprises carrying out geophysical research in exploration, trial, exploitation wells and reclamation works and field management and underground storage facilities. 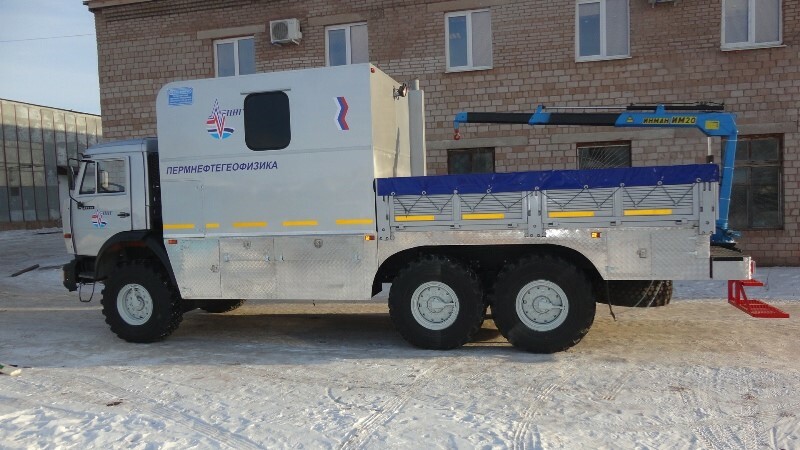 Truck chassis of KAMAZ 43118 with the 6×6 wheel arrangement with the Euro 3 diesel engine is designed for mounting the multipurpose body of the station and transportation of DFT unit equipment. 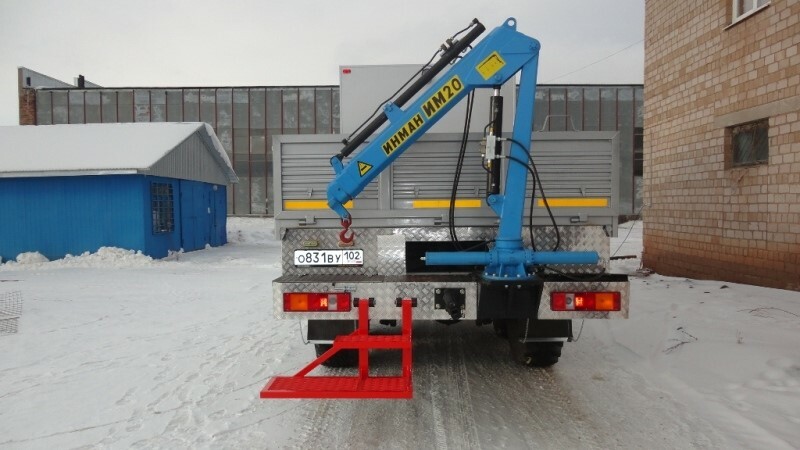 In the area of the cargo body, a hydraulic crane manipulator is installed on the bumper allowing loading and unloading of test equipment with a carrying capacity from 300 kg with a maximum outreach of at least 3,500 mm and not less than 900 kg with a minimum outreach of not more than 1,200 mm. 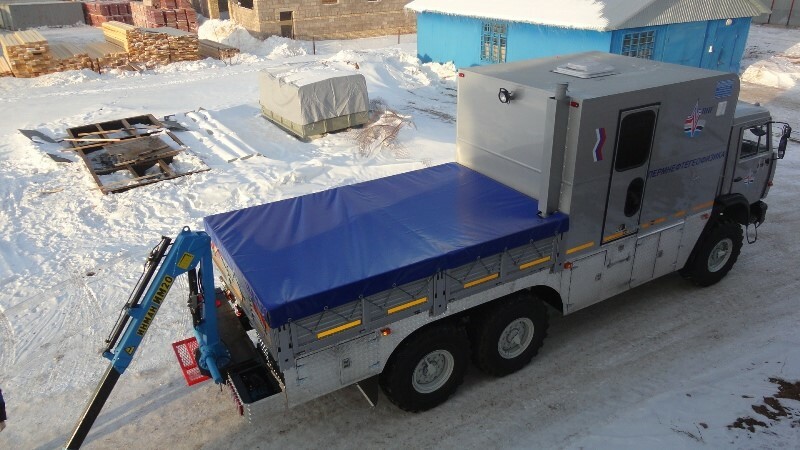 brand IM 20A produced by ZAO INMAN, Ishimbay, designed for mechanical self-loading, unloading and carrying out various types of works related to lifting weights. Installation of IM 20 does not require registration with Federal Service for Environmental, Technological and Nuclear Oversight of Russia. 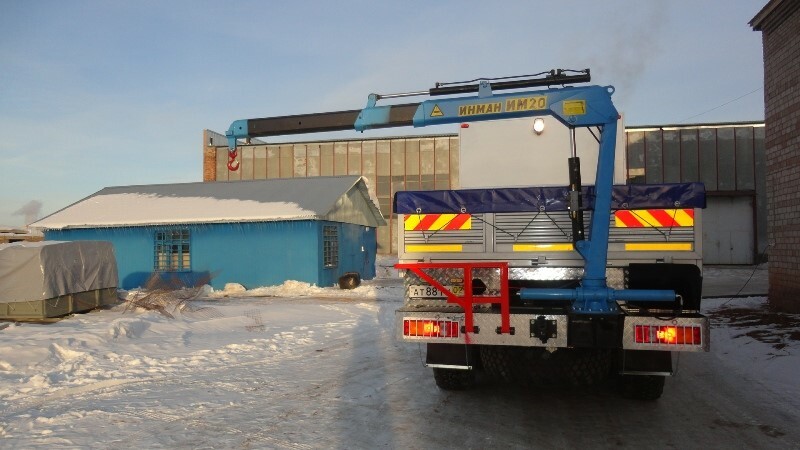 the crane manipulator installation has the following specification (to be specified additionally). Angle of boom , deg. 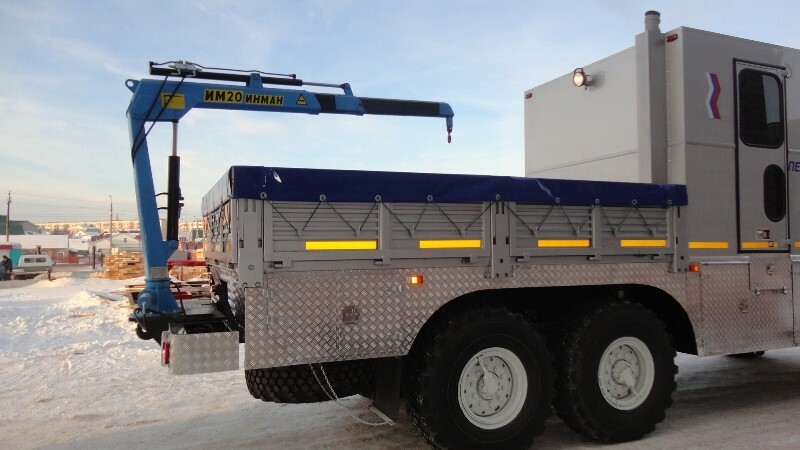 The crane manipulator installation is set on the bumper at the rear overhang of the chassis side –members in the cargo body; fastening to the chassis frame side members directly; the crane-manipulator mounting arrangement must provide its secure fastening, ruggedness and stiffness of the structure during transportation and carrying out lifting work.